A dishwasher can be a great asset for any home – it not only saves the time and effort that goes into washing (and even more tedious, drying) the dishes but a machine can also get better results when it comes to sanitizing crockery, cutlery etc. While the full-sized models can be great, and most people will view these as the ideal option, some kitchens just do not have the space. For these buyers, slimline machines can offer a great alternative. The space-saving design means that they are easier to fit in kitchens with less available cupboard space (they average around 45cm wide so approx 15cm slimmer than standard sized models) and the user can still wash about nine or ten place settings. 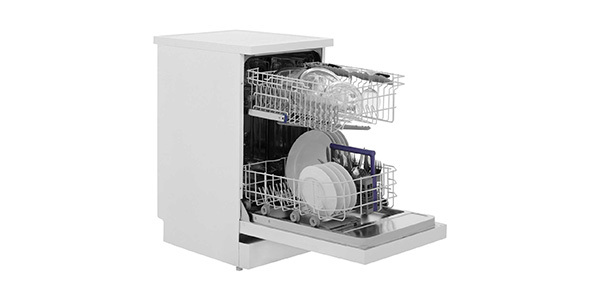 While the selection of slimline models might not be quite as a impressive as you would find with full-sized dishwashers, you will find that most of the top manufacturers do produce these smaller machines. Further, you will find there is a good selection when it comes to features and programs. You can find simple slimline machines that are just designed to get the job done, and you have machines that come with all of the top features. With a large number of models to choose from, many buyers may have a hard time finding a machine that will fit their budget and their home. 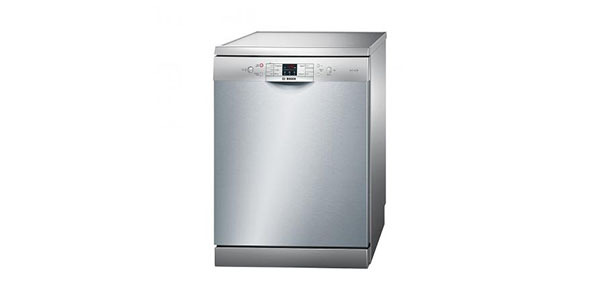 In addition to the many features and programs on offer, slimline dishwashers come at a range of different prices. You can find inexpensive models that sell for less than £200, and then there are high-end machines that retail for £600 plus. 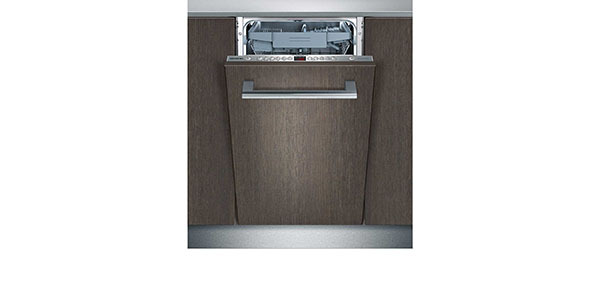 To assist buyers, we offer recommendations for slimline dishwashers, both freestanding and built-in. However, please bear in mind that these recommendations are based on our (humble) opinion. For some people, what makes a best buy appliance might differ. To make the selections for our list, we consider a variety of different factors and we look at machines that are priced to fit different budgets. 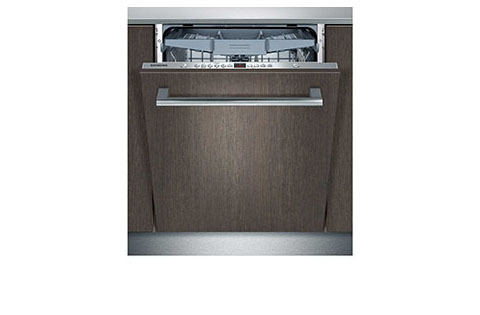 Whether you have a limited amount of money to spend or you’re looking an all-singing-all-dancing top-of-the-range model, our list should have a dishwasher that meets you needs. 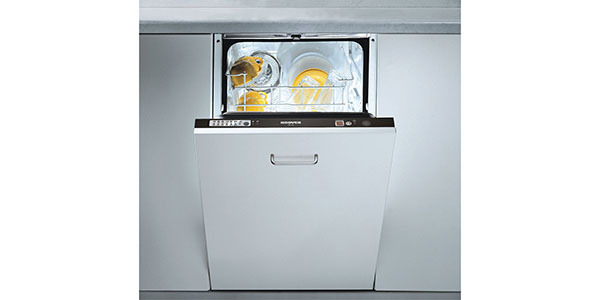 For both standard-sized and slimline dishwashers, freestanding models tend to be the most popular choice. They do not need to be fitted into a cabinet space, which makes them easier to install and more versatile with regards to positioning in the kitchen. Additionally, these models tend to cost less, and they are easier to take with you if you move. 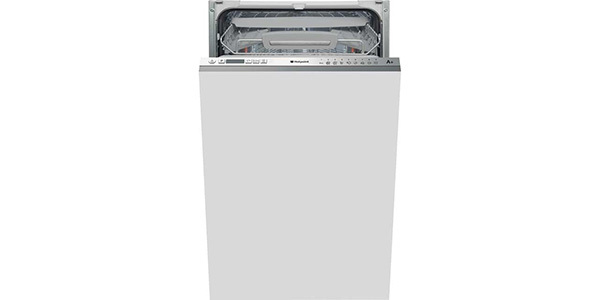 Our top pick for freestanding slimline dishwashers in this price range is the Hotpoint Aquarius SIAL11010P. For the money, there is not much more that you could ask for out of a dishwasher. It has seven wash cycles, including settings for intensive, delicate and a 25-minute quick wash. You also get a half-load feature and versatile interior racking that can fit up to 10 place settings. Since its release, the SIAL11010P has been one of the more popular slimline machines, and it comes highly recommended by previous buyers. Our runner-up, the Beko DFS05010W, is a 10 place setting machine that comes at a great price. The interior could offer more options for adjusting the racks, but it does have the height-adjustable top basket and you shouldn’t have a hard time fitting most of your items in. 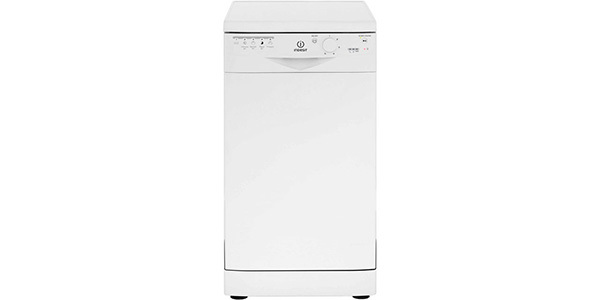 It also comes with a nice selection of cycles that include favourites like intensive and 30-minute quick wash.
With the Indesit DSR15B, you have a simple slimline that can accommodate up to 10 place settings. It doesn’t come with a huge array of features, but it has all of the basic program options that you need, and it even has a few that are an unexpected bonus. In addition to settings like normal and eco, you also have an intensive wash, a quick wash and prewash. 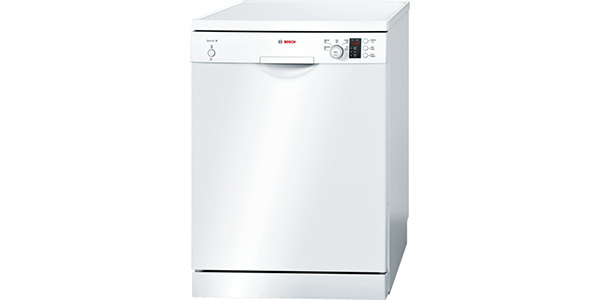 If you are willing to push your budget over £250, the Bosch Serie 4 SPS40E12GB offers excellent value for money. The interior of this machine is well designed and it offers a number of adjustable features to help the user get more items in. 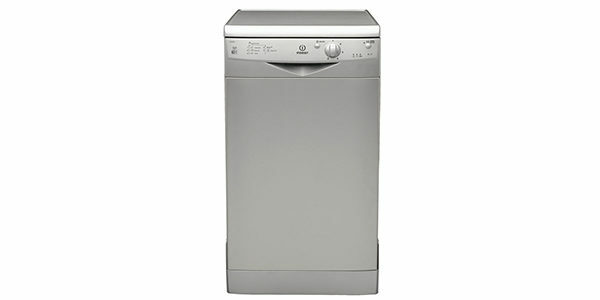 It also has four wash settings with programs for intensive, normal, economy and quick wash. It is a quality machine that is made to last, and it delivers great cleaning results. 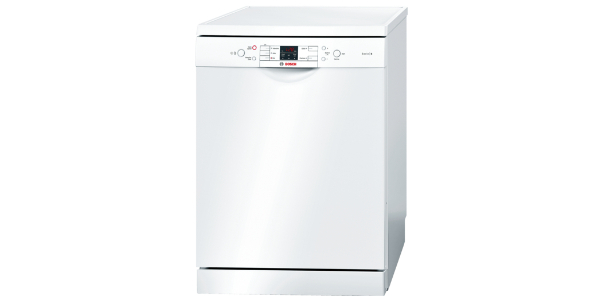 The Bosch Serie 6 SPS59T02GB is likely one of the best slimline models out there. It comes with a range of adjustable racking features, it can fit up to 10 place settings, and it has some great features that users will love. This machine uses sensor washing for the normal setting, and then you have programs like intensive, quick wash, eco and pre rinse. 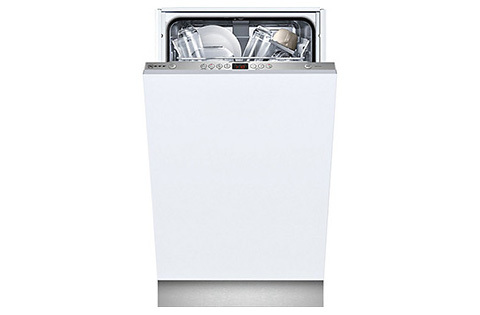 For features, this machine has the half load feature, intensive zone wash, a sanitizing feature and extra dry. Definitely a bit more of an investment than the Serie 4, but most buyers will find it to be worth it if they have the extra money to spend. The Smeg D4B-1 is a bit expensive in comparison to many of the other slimline machines, but it comes with a lot of nice features and programs. It has a max capacity of 10 place settings, but it really requires some perfect stacking to get the full ten in. That said, you do get some nice versatile racking features and the machine performs well. It comes with a speed up feature and the ability to run half loads, plus you get special cycles like the quick wash, delicate and it has automatic sensor washing. The integrated slimline models still have that compact size, but they also fit neatly in a cabinet space and will blend in with the rest of your kitchen units. The options for integrated machines that come in the narrow design are a little limited, and you will have to pay a little bit more, but there are a number of good models out there. 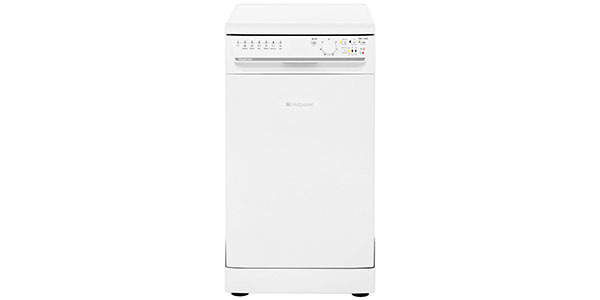 The Hotpoint LSTF9H126CL is a great slimline dishwasher that performs well in a number of regards. It has an interior that offers a variety of options, and you have a great list of features and functions. It has a total of nine washing cycles with options like intensive, delicates and quick wash, plus you get features like a speed up and intensive zone. In addition to that, it is exceptionally quiet when compared to other slimline machines. The Beko DIS15010 is an integrated slimline machine that is very reasonably priced. It has five wash programs, and it can fit up to 10 place settings per load. The machine is very easy to fill, and you have options like quick wash, intensive and eco for cleaning. It also has the half load feature and a delay start timer that can be set to options for 3, 6 or 9 hours. The Hoover HFI550/E is well made, reliable and comes with all of the features and programs that you need. The interior does have some good options for adjustability, but getting the full nine place settings to fit will require stacking the dishes exactly in the right way. However, you do have seven wash cycles to choose from and the machine does offer good cleaning results. As one of the best integrated slimline machines you can buy, the Bosch Serie 6 SPV69T00GB is an appliance that offers great performance and a number of useful features. 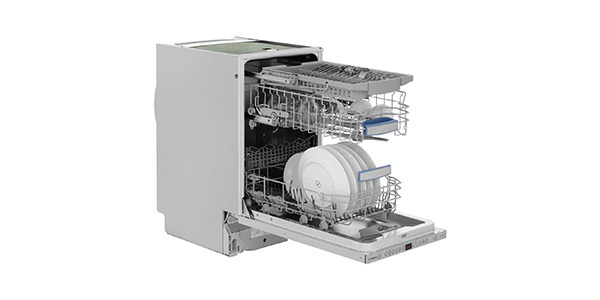 This is a 10 place setting dishwasher, and the interior is designed for maximum convenience and versatility. It has a number of folding racks, a height-adjustable top basket and the third level cutlery tray. The buyer also gets 6 washing programs, with three being sensor wash settings. You also have a quick wash and an economy wash, plus it comes with nice features like VarioSpeed, intensive zone and Hygiene Plus. This really is a top drawer machine! When it comes to reliable performance and advanced features, the Siemens iQ500 SR66T090GB is a real overachiever. This machine does cost a bit more than many will be willing to pay, but when you consider the quality of the product, the value is there. It has features like sensor washing, intensive zone, VarioSpeed and auto load-size detection. With racking solutions like the cutlery tray and a number of folding racks, the interior is well managed and easy to load, plus it fits the 10 place setting capacity in with no problems. As a nice extra feature, it also projects a light to the floor that shows the time remaining in the cycle. 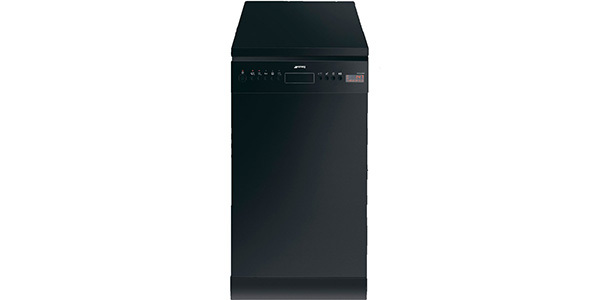 The Neff S58T40X0GB offers quality results and is very well-built. The interior has some nice racking options and the top basket is height adjustable. For programs, this machine has four settings, with one being a sensor washing program and it also has a quick wash, an economy setting and a pre-rinse. In addition to that, you also get VarioSpeed to cut the wash times, a delay start timer, and the info light that shines on the floor to let the user know that it is still running. In selecting models to list as best buys, we are not looking for machines that are necessarily the best models on the market, or the ones that come at the lowest prices. 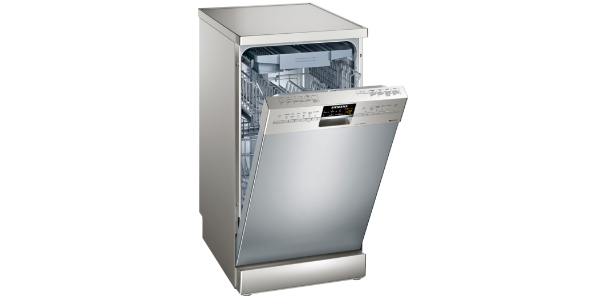 We use a number of different factors to evaluate the dishwashers, and, depending on how they rank for these different factors, they may or may not end up on the list. 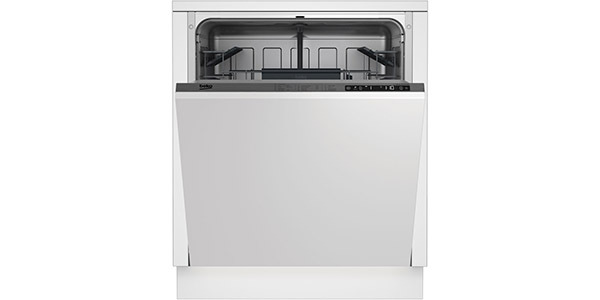 Build Quality – We find build quality to be one of the most important factors in finding a dishwasher that is worth buying. Even if you invest a relatively small amount of money in the machine, you want to know that it is going to last for a reasonable amount of time. In that regard, we look to only recommend machines that made to withstand the normal wear and tear that a dishwasher would experience in the home. Specification – The specification covers a number of different points. In this, we look at things like the maximum capacity of the machine, the features and options for racking, the programs, the optional features and more. 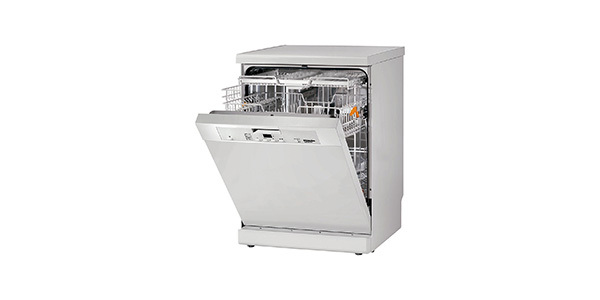 Value for money – When you look at all of the dishwashers that are currently available, you will notice that some offer a considerably better value than others. To determine the value for the money, we compare the machines to models that are of a similar price and consider if they offer more features for the money, better ease of use or if the build quality is significantly better. Buyer Feedback – To find best buys, we also try to incorporate the experience of past buyers. If a machine has received overwhelmingly positive feedback from real customers, that says something about the quality of the appliance. We also search through reviews from multiple sources and evaluate the reviews for honesty and reliability. Not every review is an accurate reflection of what the user can expect, so we try to account for this. 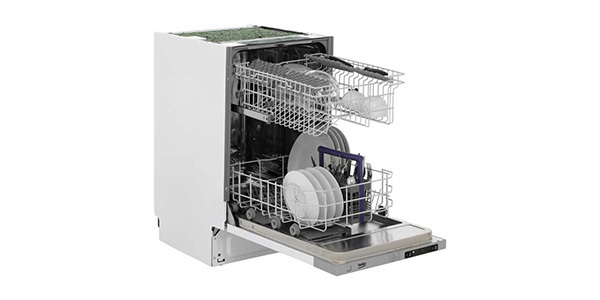 Dishwasher Buying Guide – for buying tips, features & programs to watch out for please see our Buying Guide here.